A porter has won a prestigious award from a radio station after coming to the rescue of a patient in agony. Martyn Morris scooped top prize for Best Customer Service in the Viking FM awards for helping a patient rushed to Hull Royal Infirmary. The patient was suffering post-operative complications and his partner drove him to Hull Royal after learning they faced a 90-minute wait for an ambulance because of pressure on the service. As they arrived outside the tower block, shift supervisor Martyn, 57, was alerted by help desk staff at Castle Hill who told him the patient needed a wheelchair. “It was obvious the man was in a great deal of pain and he was doubled over in the wheelchair,” he said. Arranging for the woman to park their car, he took the couple to the minors department and stayed with them while they checked in through the automated system. However, he was so concerned by the patient’s condition that he spoke to staff in “majors”, the area treating the most seriously ill and injured patients, to ask for the man to be seen there. The patient’s partner said: “It meant the absolute world to us that someone would not only be there with us but would care enough to not just leave us to wait our turn in the huge queue of people in a Friday night A&E. “I know we would have been triaged but every second felt like an hour as my partner was in so much pain. Martyn took us through to majors and explained to the staff. “My partner was seen quickly, given strong pain relief and was able to lie down. Martyn cared enough to find us after a while and pop his head in asking how he was doing. “You can’t teach somebody to care that much, he’s just a natural. Martyn had already won a Moment of Magic award from Hull University Teaching Hospitals NHS Trust Trust after a patient’s partner contacted chief executive Chris Long to praise Martyn for the help he gave them. 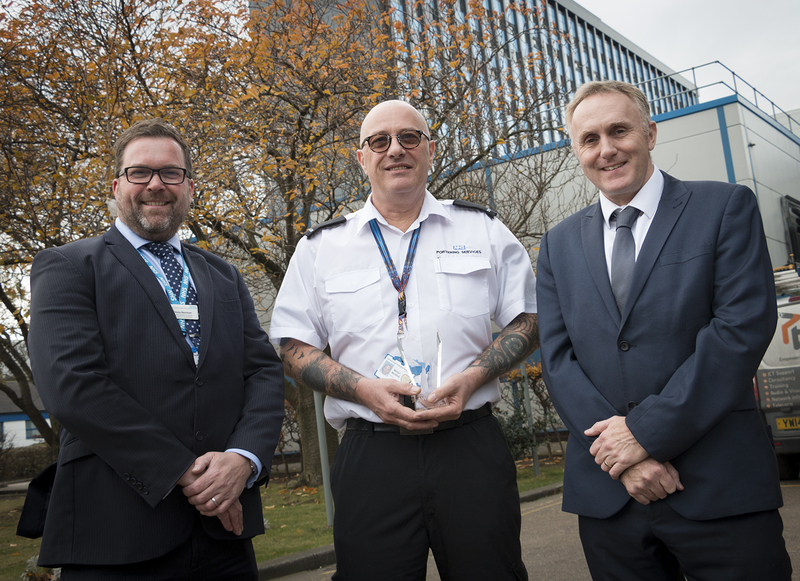 A porter for 17 years, Martyn said he was surprised to receive, first the nomination, and then win the award at the Viking FM ceremony last week. “We see patients on the wards and take them all over the place but it’s very rare that we receive feedback in the same way as the nursing staff do,” he said. David May, the trust’s portering and postal services manager, said: “Portering is all about customer service and to receive an award in this category against other talented nominations in the local area is great news we should all be proud of. “It also acknowledges the high standard of care, reassurance and dignity all trust staff provide to our patients and their families during their time in our hospitals.